Pros: Endearing, sincere, wholesome and zany. Cons: As of yet no news of a sequel. Comic genius and O.S. map enthusiast Helen Wood takes the audience away from this anonymous Camden boozer on a countryside romp, creating an exciting blend of anecdotes, history and sketches. You may think that an hour-long solo performance about O.S. maps might be a little on the dull side – but oh no, you couldn’t be more wrong! This play has everything – nostalgia, laughs, dread, and sexual politics, even featuring a segment that borders on map-based sexual innuendo, complete with plenty of role-play dotted throughout. Comedy performer Helen is no stranger to the stage (despite her noticeable shakes at the beginning). 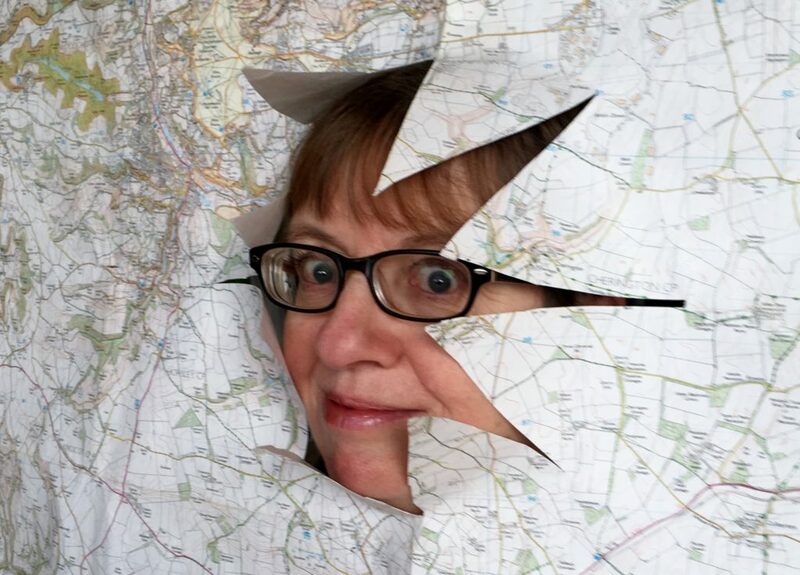 The veteran Fringe artiste took the audience on an enthusiastic journey around the Wiltshire/Gloucestershire border, establishing herself among other well-known O.S. 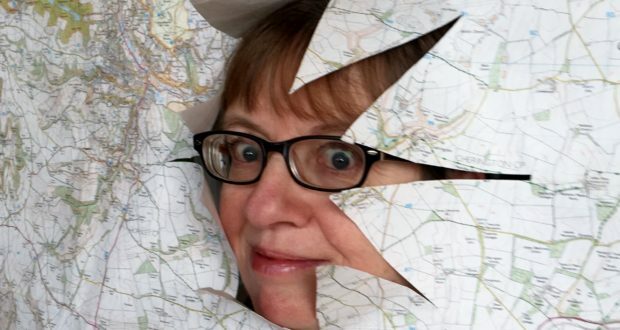 map fanatics from the outset (yes, they do exist!). She then went on to give her own touching tale of how she grew to love the paper foldouts. The Luddite escapade made for a mock-therapeutic geographic tale that outshone any walk to the airport Will Self has managed. Throughout, the audience were treated to a thoroughly researched story, peppered with interesting facts, hilarious anecdotes and world-building character sketches. There was a healthy dose of audience participation, equally as enthusiastic and informed as Helen herself. Some members of the crowd were clearly rambling enthusiasts themselves, shouting out the answers to the various map-related questions that Helen shot at them. In one particularly hilarious moment of unplanned improvisation, one walking stick-toting latecomer apologised for his lack of punctuality, explaining that he had ‘lost his map’ on the way over. The humorous and well-timed interruption almost made one audience member spit out their Kendal mint cake. This isn’t an embellishment – Helen did actually hand out a mint cake for a correct answer to one of her questions. Set and costume were as detailed as the script and storyline, right down to the repurposed tea towel t-shirt (try saying that after a few hot toddies at the post-walk pub session) and tasteful card that Helen had printed her narrative-enriching photos on. So, if you find yourself loitering about north London in your crampons this weekend and you can’t quite be bothered to hitch a lift to the Lake District, why not come along – you even get a free O.S. Map Fan Club badge! My co-reviewer and I are still wearing ours with pride.